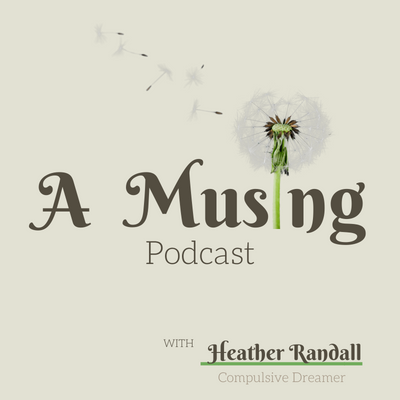 What is A Musing Podcast? A Musing is a podcast that encourages listeners to diligently seek the voice of God so they don't miss valuable cues from the Heavenly Father, our one true muse. A Musing is a faith-based podcast that equips listeners to look for God in the ordinary. Tuned in, they learn to hear His whisper in their passing ideas and capture those inspirations as opportunities to learn and grow. Join us as we purpose to learn everything He has to teach us in this amazing journey of life. 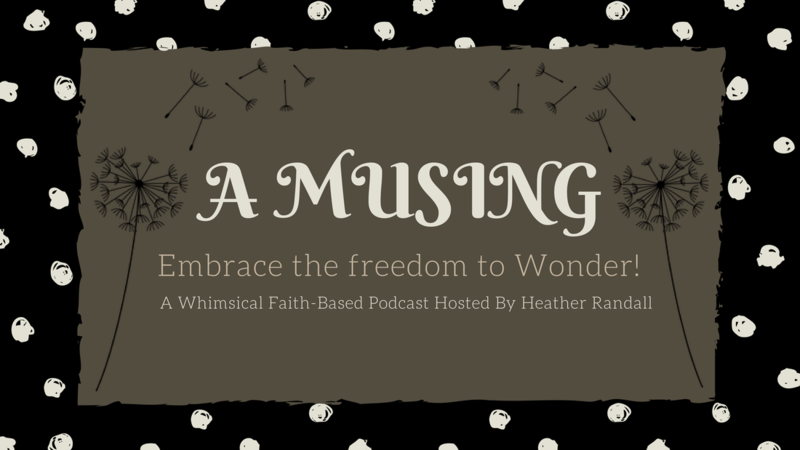 A Musing is a whimsical faith-based podcast hosted by Heather Randall. This podcast is focused on the question of Godly inspiration. What if every thought is a seedling from our Heavenly Father, our one true muse, pointing us to something we need to know? What if we got brave enough to examine these thoughts and curious enough to explore His Word for answers? What are we waiting for? Let’s capture these clues together and learn to hear God’s voice in our everyday moments. Tune in every Friday at 4pm CST and discover what He wants to teach YOU in this amazing journey of life. A Musing is a podcast for anyone who is hungry for God and desperate for a personal encounter with Him. My listeners want to know God in a dynamic way, to hear His voice in the quiet moments. They never want to miss an opportunity to capture wisdom from our King. They are dreamers, doers and explorers, eager to play a round of Hide and Seek with their Heavenly Father. Through A Musing Podcast, listeners are equipped to hear God’s voice louder and encouraged to search His Word for answers. They learn to view God as the ultimate “thought leader”, the voice sparking their own curiosities and fueling their creativity. When we seek God with all our heart we are sure to find Him. Every Friday on A Musing, Heather follows God’s lead exploring the topic He has placed on her heart that week. It’s a wild and whimsical ride through scripture as she never knows where He’ll lead. What are you waiting for? Let’s embrace the freedom to wonder, take the invitation to explore and learn everything He has to teach us in this amazing journey of life. Episodes are released every Friday at 4pm CST on The CWA Radio Network and can be streamed on all your favorite listening apps. Please rate A Musing on iTunes, follow on Instagram, and share episodes with your friends. Heather Randall proudly serve as the CEO of Christian Women Affiliate, LLC. CWA exists to equip Christian Women with resources to grow in their Ministry, Business and Personal Life. Heather manages the free CWA community forum membership is free, as well as their paid services including radio hosting, webinar hosting and a review service. Her niche is making really great services crazy affordable because, who wants to go broke fulfilling their call? You can learn more about CWA and join over at http://www.christianwomenaffiliate.com/ . Heather is also an abstract artist and an author. You can find her art at http://blendinginwhimsy.wixsite.com/artstudio. ​Her novel, When Chicks Hatch, is available on Amazon. Besides working, she enjoy homeschooling her 4 children and supporting her husband of 18 years in his international puppet ministry, Torah Puppets (http://Torahpuppets.com). Heather has a passion for serving women and children and lives to amplify God's love through creative expression. Fonts: I use Berkshire Swash for the A Musing logo, Aleo Light for additional graphic text (other than show name), and Alike for some of my Instagram graphics. Get the FULL Kit and Caboodle in one Handy-Dandy Zip File. Download the A Musing Podcast Media Kit Zip File and have all of this press content in one handy file.